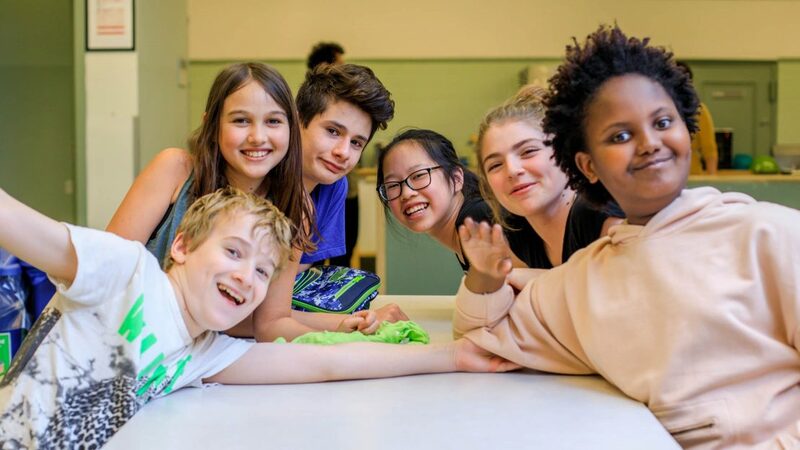 We cultivate a rich, engaging curriculum that inspires intellectual curiosity, fosters academic achievement, and encourages involvement in the arts and athletics for our middle school students. Every student is guided by our team of teachers, specialists, and administrators to do his/her/their best work and to become an independent learner. The middle school building in Carroll Gardens, Brooklyn, allows our growing adolescent students to spread their wings in large light-filled classrooms, provides technology to facilitate learning, and offers well-equipped science labs, an art studio, a gymnasium, and a performance stage complete with professional audio equipment. Our experienced and dedicated teachers and staff work closely with students to make sure that everyone has the tools that he/she/they need to be successful. Every student has a strong support network, including a homeroom teacher who fosters self-advocacy and study skills. 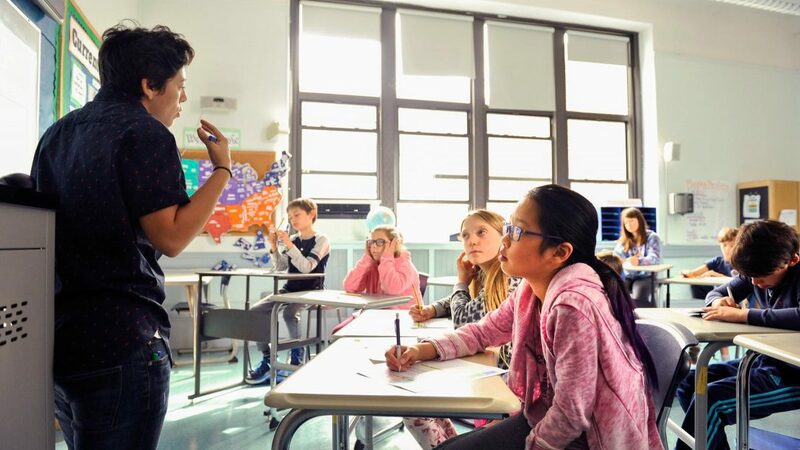 Teaching in the middle school is interdisciplinary so that students make connections among different subject areas for a more cohesive educational experience. For example, our innovative literacy curriculum combines reading and writing to strengthen learning in both disciplines. In order to maximize students’ progress, literacy and math are taught in small cross-graded groups according to learning needs. Spanish is taught for all three years. The highlight of the program is a language immersion trip to Costa Rica for eighth graders. In addition to fulfilling core academic requirements, students pursue their artistic passions in music, drama, and visual arts, and develop their athletic skills as members of our sports teams. They become leaders in many clubs and activities. Technology is central to the program, offering interactive and virtual opportunities that unlock learning for our students. They learn to be safe and responsible citizens of the ever-evolving digital world. We encourage our students to be independent learners, critical thinkers, and problem solvers. We support them in their academic journeys with structured, multisensory curricula, differentiated instruction, small class sizes, and an engaging approach to learning. This approach empowers them to be their own best advocates at school and beyond. The entire middle school community gathers for Silent Meeting twice a week, where students reflect on a query and express their thoughts if they so choose. Students are supported in their intellectual, social, and emotional growth as they need it, by a team of highly trained professionals. Language therapists, a social worker, and a psychologist are on site to work with any students as needed. Homeroom teachers mentor students and work with them to develop important study and self-advocacy skills. They also play a key role in communicating with families. Eighth-grade students are prepared to take the next steps in their educational journeys, brimming with confidence. We ask students to do what is hardest for them all day, so we try to have as much fun as possible with them while we’re doing it. Our middle school offers programs such as Spirit Week, overnight trips, clubs, and community service days that are filled with opportunities for students to have fun and build new friendships. Learn more about how we support our students.